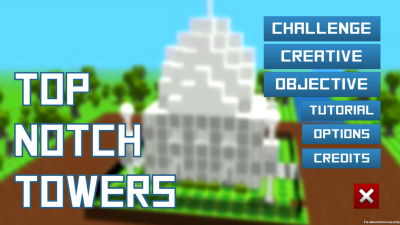 Top Notch Towers is a casual construction game with tons of blocks, game modes, and all sorts of ways to enjoy creating and destroying buildings. The player can go through challenge mode and play game modes like destroy the building and find the bomb to get stars. These stars will unlock later level packs and usage of those level pack’s blocks in the creative mode. 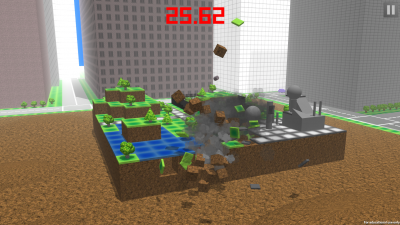 Creative mode allows the player to build and destroy whatever they want with all the blocks they’ve unlocked, plus they can save and load their creations. 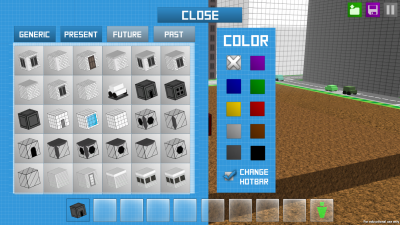 Objective mode is completely optional, but allows players to make and modify buildings by following guidelines. Play whatever game mode you want and just sit back and have fun with Top Notch Towers! QE to pitch up and down. Left click to place blocks, hold to keep placing. Shift-left click to delete blocks, hold to rapidly delete. For more in depth tutorials, plus explanation of game modes, please read/watch the tutorials.